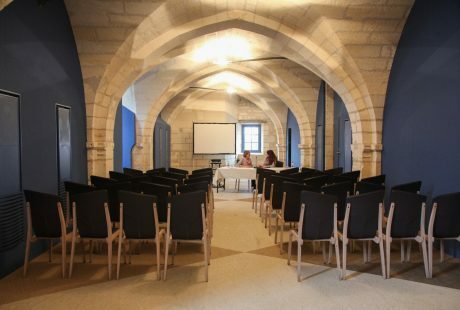 At the Abbaye aux Dames, within the former convent buildings, businesses and individuals can rent rooms for seminars, conferences and receptions. 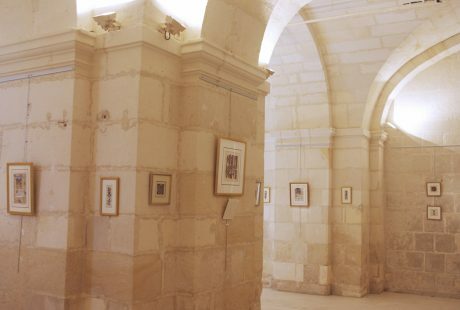 In a unique architectural setting classified a “historical monument”, we have six modular rooms with a capacity of up to 300 people. Cross-vaulted ceilings, sculpted décors and a monumental staircase carved in shell-white stone lend the location an unparalleled charm. 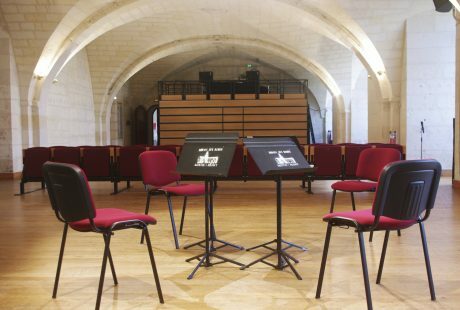 A vast, vaulted room with an understated style, modular, with fixed tiers of seats. Fixed production unit with sound equipment. 260 m², 50 to 275 people. 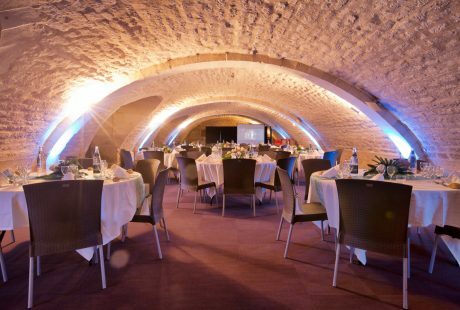 A unique room with a vaulted stone ceiling that was originally a 17th-century cellar. It has a vast back room that caterers can use. 240 m², 30 to 300 people. Ceiling height: 2 m 40. 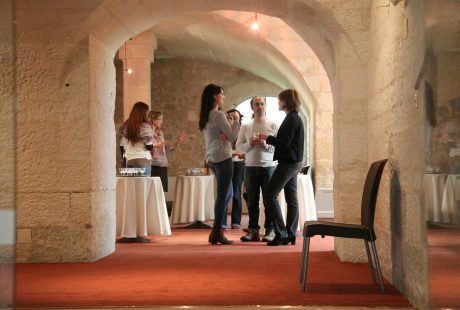 An entirely renovated 17th-century room with reworked acoustics, accessible to people with physical disabilities. 100 m², 20 to 100 people. A charming room entirely lit by three skylights. Opens onto the abbey gardens. 80 m², 10 to 80 people. A spacious, elegant, 13th to 17th-century room with a cross-vaulted ceiling. The room is very high. Picture rails and projectors are available for exhibitions. This room has its own distinct personality. It is warm and bright, with a vaulted stone and brick ceiling and a gorgeous fireplace. 40 m², 10 to 19 people. 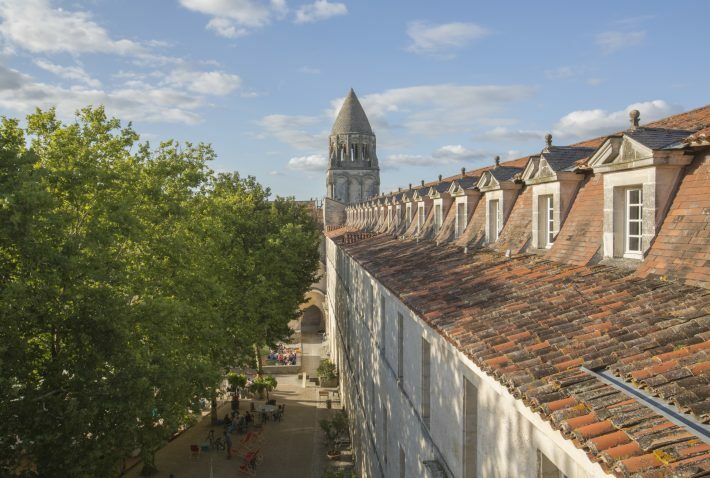 The information collected through this form will be saved in a computerised file by the Abbaye aux Dames’ commercial service to manage client relations. It will be conserved during our correspondance and is intended only for an internal use by the association.